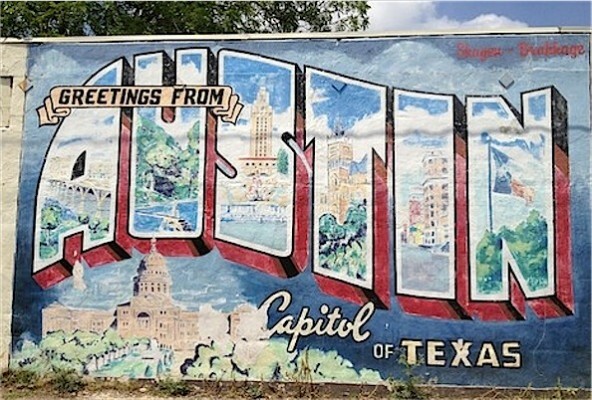 Austin love: Gluten-free friendly joints we love & think you should too! I’m a lucky girl; I live in one of the most amazing cities in the country and I’m surrounded by some of the best culinary options to boot! Yes, Austin has it’s fair share of BBQ joints and Tex Mex fare, but if you go outside your comfort zone, you’ll discover home-made Pho made with love by a family owned restaurant on West Anderson, trailers serving up delicious crepes, hand-dipped frozen banana desserts, authentic Thai or Mexican fare, a husband and wife team whipping up some of the best chalupas we’ve tasted, an African food cart and top rated burgers made with hormone-free meat. From Vegetarian to gluten and dairy free options, many restaurants in town are happy to accommodate special diets, and we think that deserves some local love. It takes great dedication to create a quality meal, and a love for their guests to offer such incredibly delicious and healthy options. So, below is a list of some of our fave local Austin allergy-free friendly joints that we visit often and think you should too! Note – these are in no particular order! Casual, fun and delicious – order at the counter and grab a seat on their beautiful patio or inside for a quick, tasty and inexpensive meal. Their staff is super helpful and friendly about diet issues, and their manager told me that almost all of their items are gluten-free with the exception of a couple to stay away from. Be sure to tell them your needs and they’re happy to help! Come experience the bold flavors and colors of a Mexico City taqueria from the comfort of a unique Austin neighborhood. Try our delicious tacos, salads and house specialties. All of our menu items are homemade from the freshest ingredients, including our handmade tortillas and salsas. 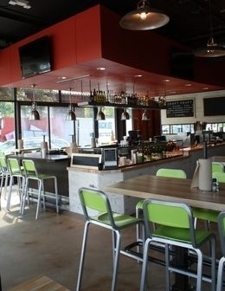 Check out Zocalo Cafe Taqueria Fresca at 1110 West Lynn. Just about everything on their menu is gluten and dairy-free and you can’t beat their homemade bone broths’ healing powers. These guys are healthy, delicious and much cheaper than their more trendy competitors. A must try in Austin! 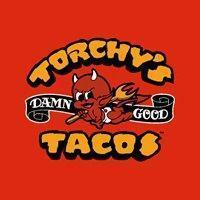 Breakfast, lunch or dinner – Torchy’s is a goto in our house and we love their off the wall, exotic combos! It doesn’t hurt that they serve their full menu all day long, so when we head out for breakfast tacos, I can enjoy something from their regular menu that’s egg-free, which typically means I go for the Mr Pink (tuna) or Mr Orange (salmon). Torchy’s Tacos has several store-front locations, and still held on to their original trailers. And thanks to their willingness to accommodate allergy-free dining needs, Torchy’s is a great option for those with gluten-free, dairy free and various other restrictions. Grab their gluten-free menu at the counter before ordering and smile as you sit back to enjoy fresh and tasty tacos, Torchy’s style! If you’re looking for some of the tastiest and strongest margaritas in town, head on over to Guero’s where they serve them in tiny tumblers. Check out the decor – much of the old wall hangings are there from when they were a feed store so don’t be alarmed if you notice a stuffed bird or deer head. Random, yes, but it’s an Austin original, and if you’re looking for allergy-free options, Guero’s has you covered. They list their gluten-free and vegan menu on their main menu (no separate ones here) making it easy to know what you can safely order. 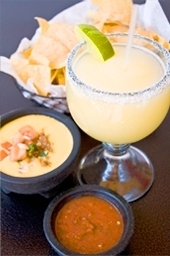 Enjoy handmade corn tortillas, specialty dishes and fresh salsa bar. The caldo de pollo and tacos al pastor are just a few tried-and-true favorites. Start off with a hand-shaken margarita in the cantina, or enjoy an icy cold cerveza while listening to music in the Oak Garden. Just sit back and relax, and soak in the local Austin vibes. Offering a complete Raw Foods menu, Beets is a fabulous option for any health conscious Austin foody. Most all of the menu items are naturally gluten-free, and the staff is super helpful. We love Beets! Click here to check out their menu online. This large, outdoor, creekside restaurant/bar is in an idyllic setting, under large, shady oak trees. Freddies has a, laid-back, South Austin vibe, with tasty burgers and margaritas, a beautiful setting, live music and friendly staff. 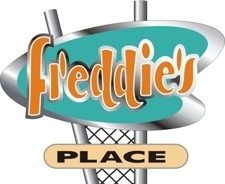 Freddies’s fun, laid back vibe finally includes a gluten-free menu (yay!!) So now you can enjoy a burger with a gluten-free bun, or even a breakfast option of french toast. They also have a delicious seared tuna, pork chops, salads and more. And if you’re there on a day that’s hotter than 100degrees, their frozen margs are only 100 pennies 🙂 Can’t beat that! Why do we love Snap? It’s the first time I’ve ever walked into a grab-n-go restaurant that actually labeled every ingredient in its food, and caters to allergy-free friendly eating. Not only is about 90% of their food gluten free, but they also offer Paleo options. Gluten-free, allergy-free, Paleo lovin food that’s delicious to boot! In their words: dedicated to bringing our customers flavorful, handcrafted food that supports our commitment to local, organic ingredients and healthy cooking. 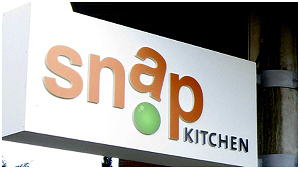 Snap Kitchen’s menu offers a selection of “foodie” items made fresh daily, salads tossed-to-order (flagship locations), juices and specialty elixirs, high-energy snacks, and diet-friendly desserts for the person on the go. Handcrafted burgers, beer and a full bar in the heart of SoCo and now on W Anderson too, offering gluten-free buns and salads to satisfy your cravings. Delish burgers, but prep for a line! Maudie’s is one of our favorite neighborhood stops and we can’t say enough great things about them! They offer a gluten-free menu as well as separate gluten-free chips, and they will give you a separate salsa to avoid cross contamination from the non- gluten-free chips. They’re gluten-free menu is full of delicious options, and I’ve been told on many occasions that they can alter most any of their items to be gluten-free since their salsas are ok, and they make most things fresh on the spot. They take a little longer with their gluten-free orders because they take care to prep their stations and grills to avoid cross contamination, and I’m super grateful for that! Yep, can’t say enough great things about their knowledgeable staff, delicious & healthy mexican fare! 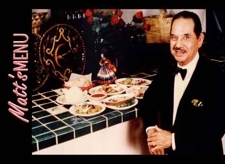 For over 50 years Matt’s El Rancho has been family owned and operated. authentic Mexican food in a great family atmosphere. 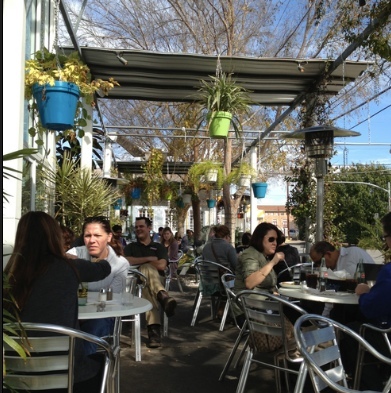 Matt’s is another neighborhood favorite joint that we can’t say enough great things about! While they don’t offer a seperate gluten-free menu, they’re quick to send a manager over to your table once you mention gluten-free. They’re extremely knowledgeable about how their menu items are prepared and they’re always willing to accommodate dietary restrictions, beyond just gluten-free. You can absolutely rest assured that Matt’s will take good care of you! Amazingly fresh, delicious and allergy-free friendly options, including rolls wrapped in cucumber (no rice!) and gluten-free soy sauce. Note that they offer valet parking for $4 next door so you can avoid dealing with downtown parking for just a couple more bucks than the cost of street parking. Read more about why we love these guys on our review here. Love their ranchero sauce as a great gluten and dairy free side with fresh tacos or omelet’s, and you can’t go wrong with their fresh juices. Stop by for lunch or dinner and enjoy their full menu found here. When it comes to Mr. Natural’s Bakery, you probably won’t find a healthier selection of gluten-free or vegetarian baked goods anywhere in town! Why do we love Thrice? Fresh steeped loose leaf teas, Kombucha on tap, great selection of beer & wine, and all the Vegan Ice Cream you can imagine! Their menu is almost entirely gluten free, with the exception of their Vietnamese sandwiches and they’re happy to leave out the grains if you request that they do. We love their curries and our son is a fan of their gluten free chicken strips with homemade rice vinegar dipping sauce. Thai Fresh is committed to bringing you authentic Thai meals that are made with fresh local ingredients. Their meats are raised within Texas and free of antibiotics and hormones, featuring Buddy’s natural chicken and Dewberry Hill Farms chicken, with pork from Peach Creek Farm and their beef is all grass-fed from Bastrop Cattle Company. Check out their menu here. 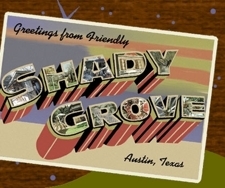 Our favorite cozy outdoor cafe, Shady Grove is perfect day or night; with plenty of “shade” provided by the abundance of trees, which are adorned with white lights at night, this is a perfectly romantic, casual and fun vibe all in one! Shady Grove is a frequent choice in this house since they offer several gluten-free options and are always happy to accommodate further dietary restrictions. While they no longer offer a gluten-free menu, their staff is more than happy to point you to the salads, burgers, pork chops, fish and more that are safe for gluten-free needs. « Van’s All Natural Foods giveaway is back! You’re welcome! How do they live up to your faves? I’m working on a follow up post with more listings in case you have favorites to share! 2 Pings/Trackbacks for "Austin love: Gluten-free friendly joints we love & think you should too!"